As an Algopix user, by now you’ve probably familiarized yourself with the many analytic tools at your disposal. You may have noticed the bars on the right side of the screen that state recommended or not recommended. You may have been asking yourself, wait: what makes this product recommended or not recommended? On what basis? And how can a product with medium/high demand be not recommended? To clarify this matter, we’ve added a new tab called Algopix recommendations. 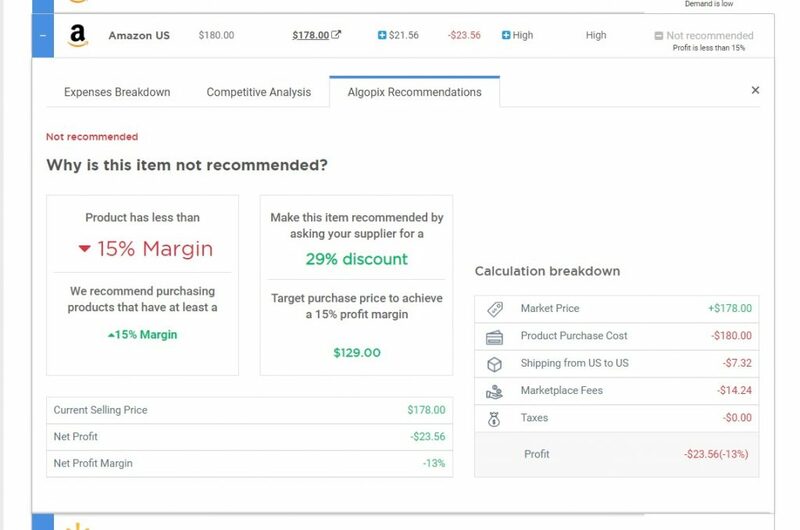 This feature, which you can find in the rightmost column in your product analysis page, presents you with important data that will help you understand why certain items are considered recommended while others are not. Not recommended due to low demand. Not recommended due to a low-profit-margin of less than 15%, in spite of medium/high demand. Not recommended due to low demand as well as less than 15% profit margin. For example, a product that has a medium/high demand could be designated as not recommended, because the profit margin is less than 15% (bringing into account your purchase price and other costs), and therefore not worth your investment. 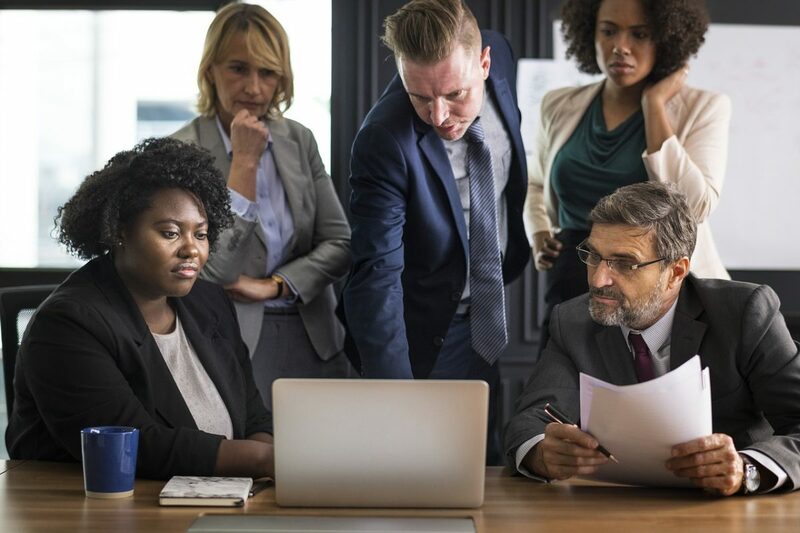 Another scenario is when a product has low demand as well as less than a 15% margin, which means that you will be required to ask the supplier for a significant discount in order to reach your target profit margin. 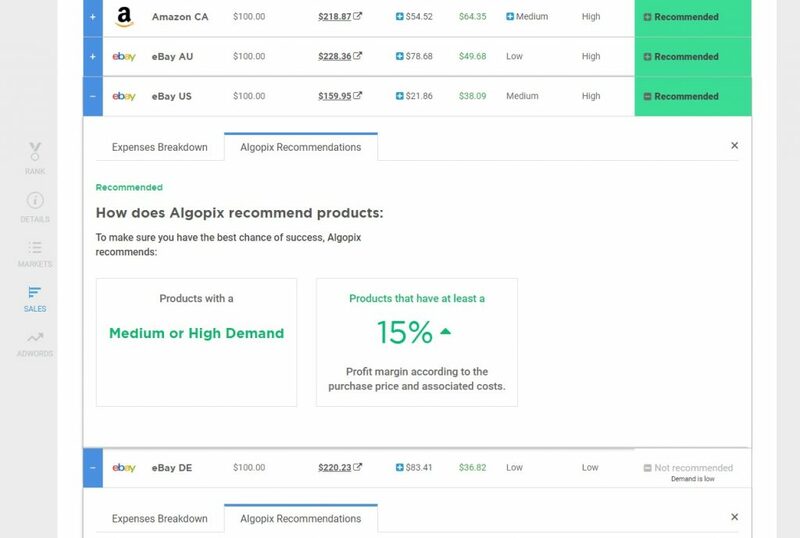 When Algopix recommends a product, it usually means that the product has a medium/high demand as well as a profit margin of at least 15%. 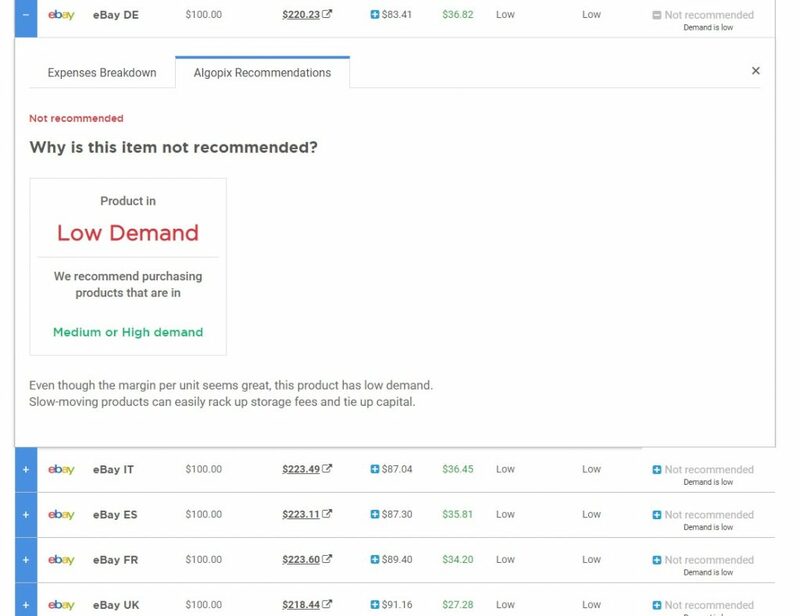 Algopix Recommendations is live and available to all Algopix users.